Tailgating—the practice of driving too closely behind another vehicle—is more than just a nuisance. Considered an aggressive driving behavior, tailgating is a common cause of rear-end vehicle accidents, many of which are quite serious. 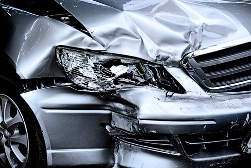 Rear-end car crashes are a leading cause of traffic-related injuries and fatalities in the United States, and account for approximately 23 percent of all motor vehicle accidents. According to the National Highway Traffic Safety Administration (NHTSA), rear-end vehicle accidents injure 950,000 people each year and claim the lives of an additional 2,000. When tailgating poses such a significant risk, why do people do it? Read on to learn more about the common reasons for tailgating, as well as what you can do if you were injured in an accident. Although there are many situations in which it may be tempting to follow too closely, most traffic safety organizations recommend leaving at least a three-second gap between your car and the car in front of you. When tailgating leads to accidents, victims can be left with serious injuries that require extensive medical treatment or long periods of recovery, which can, in turn, leave victims unable to work and buried under a mountain of debt. If you or a loved one were injured in a rear-end accident caused by a tailgating driver, you may not have to shoulder this burden on your own. Contact the knowledgeable legal team at Steinberg Injury Law today for a free case evaluation to determine if you're able to pursue compensation for medical bills related to the accident, property damage to your vehicle, and lost wages, or to request a free copy of the book, The Seven Biggest Mistakes That Can Ruin Your California Injury Case. We have extensive experience handling cases just like yours and are eager to help you obtain any damages you may be entitled to.